Hi, another clearout of 4 watches that I don't wear and are unlikely to be worn in the near future so I'd rather sell them and put the money towards another watch. 1. 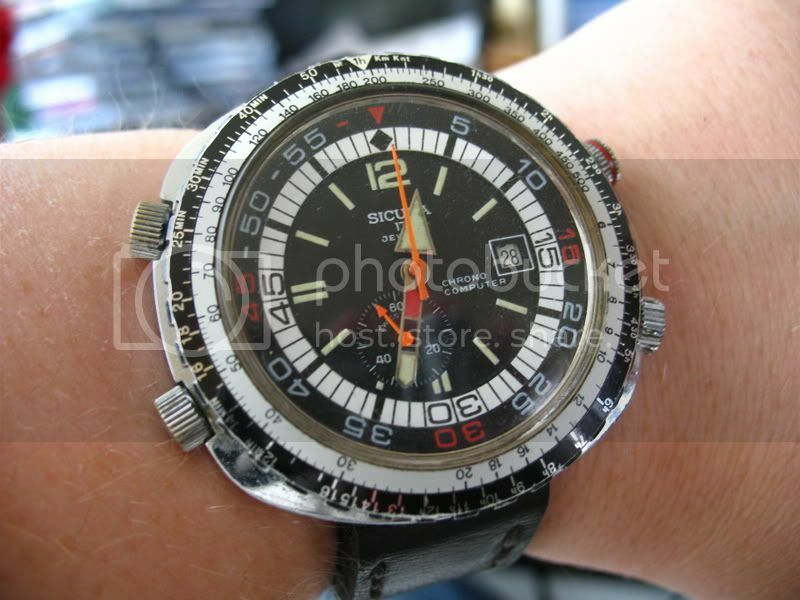 Is a Sicura Chrono-Computer that I bought off of Bunchie32 (Pete). It's in the same very good condition that I bought it in. It measures 38mm across and utilises an ETA 2783 automatic movement with 25 jewels, quickset date and it is also hand windable. This will come on a lightly worn Bros synthetic suede effect strap. 3. 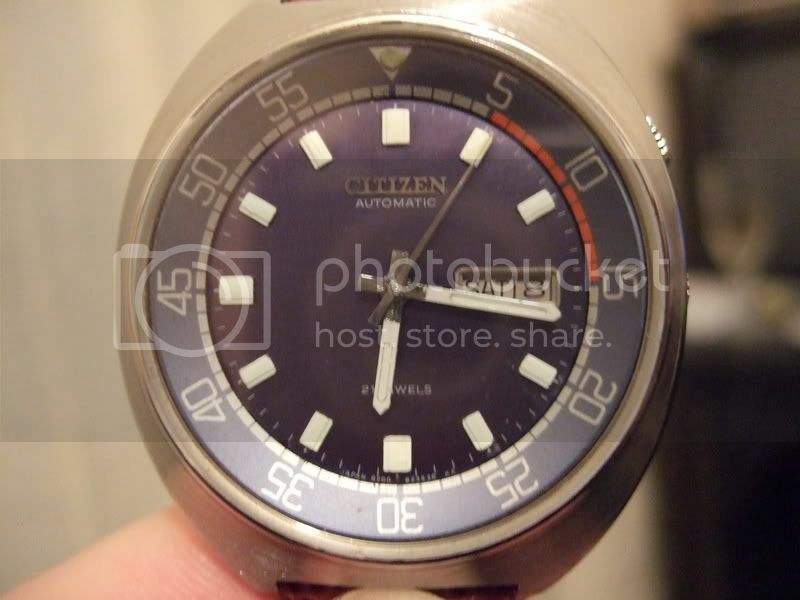 Is a Citizen Auto that I bought from Griff last year. In great condition. Measures 43mm not including crown. 21 Jewel movement. 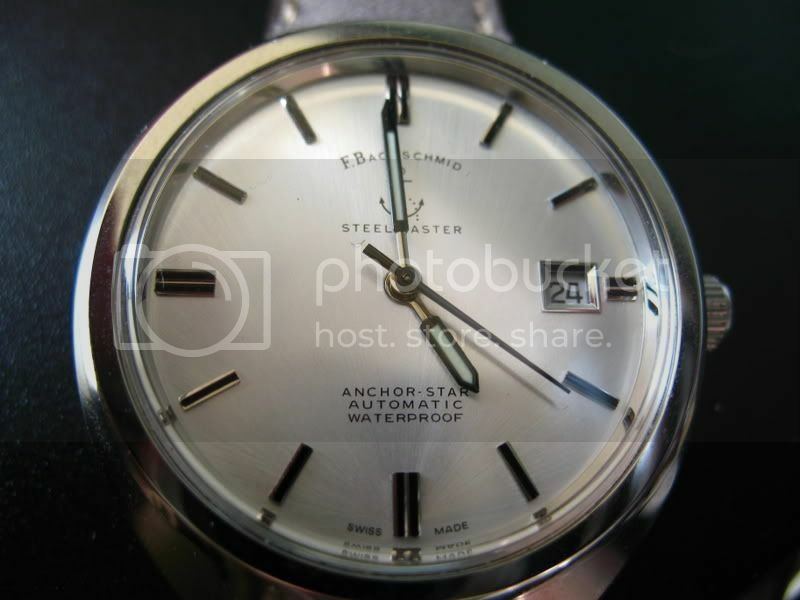 And last, but not least is this Aquastar Geneve that I bought last month. 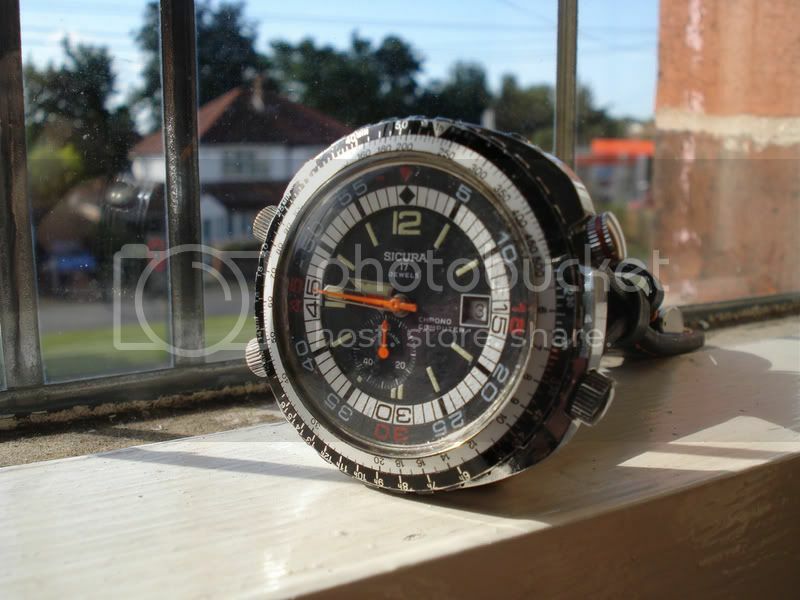 It is in great condition with wear only to the back of the case where some idiot tried to open it with the wrong caseback opener. Pic borrowed from Terry, I hope that's ok? Measures 36mm not inc crown. 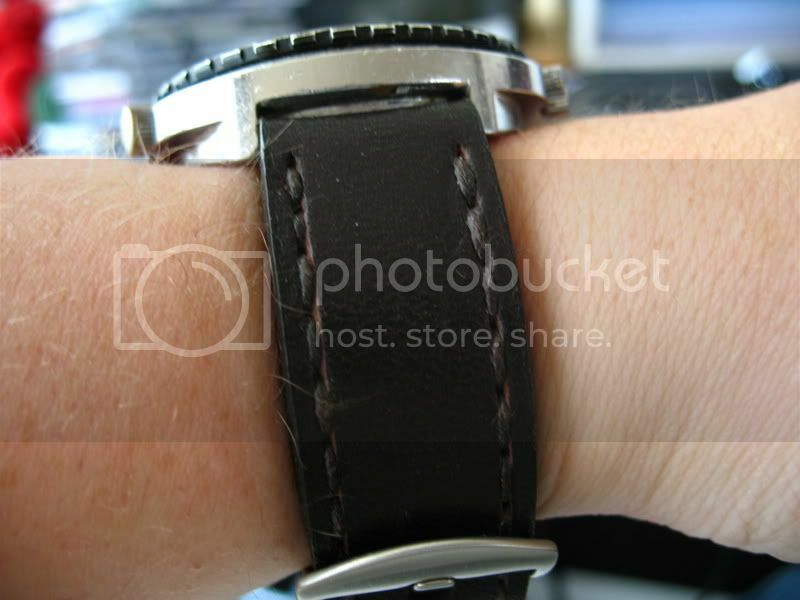 Will come on the strap pictured which is like a Chronissimo. All prices include UK delivery. Paypal is preferred method, but please add 4%. Otherwise personal cheque please! 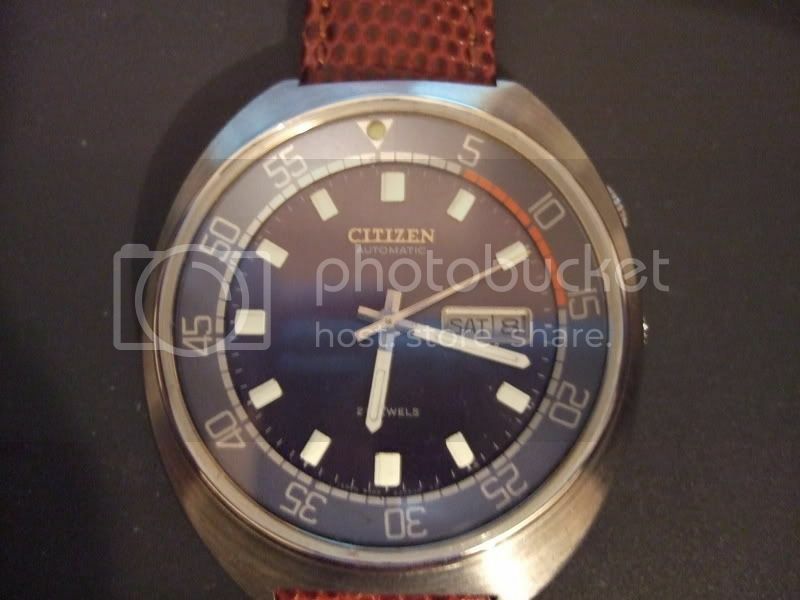 Citizen and Bachschmid now SOLD!